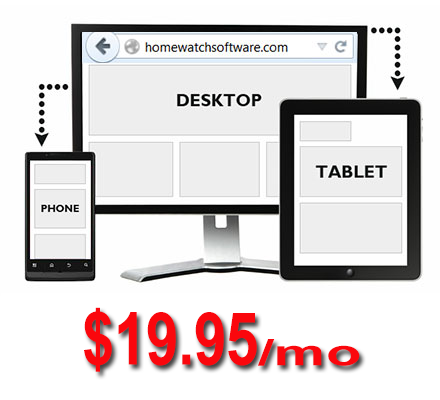 Providing the home watch professional with a robust cloud based software which may be accessed via any device browser utilizing a connection to the Internet. Our product is truly the next generation of "green" technology for the home watch industry. Our cloud based software provides "real time" reporting capabilities. Imagine filing your inspection reports directly from your client's home, condo or property before leaving! This will save you time and certainly set you apart from your competitors, ultimately improving client retention and will help you generate more referral sales. 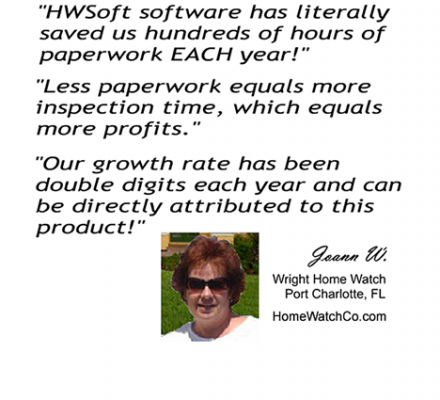 Our cloud based software provides the most comprehensive home watch software available. Our 5 add-on modules make it easy to upgrade your software at any time, so you only pay for what you need!! Unlike many of our competitor's products, you configure each client report to the unique floor plan and layout of their home.